In early 2000 the design team at McAlpine Tankersley Architecture approached me with a daunting commission. Huge teak beams and signs held together with huge iron scrolls and bands. 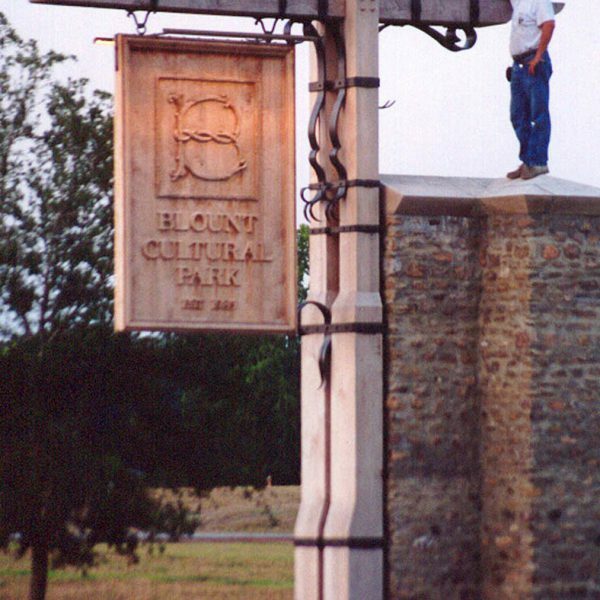 After much excitement, anxiety and sweat the signs were trucked from my shop and erected with cranes to greet visitors to Blount Cultural Park. 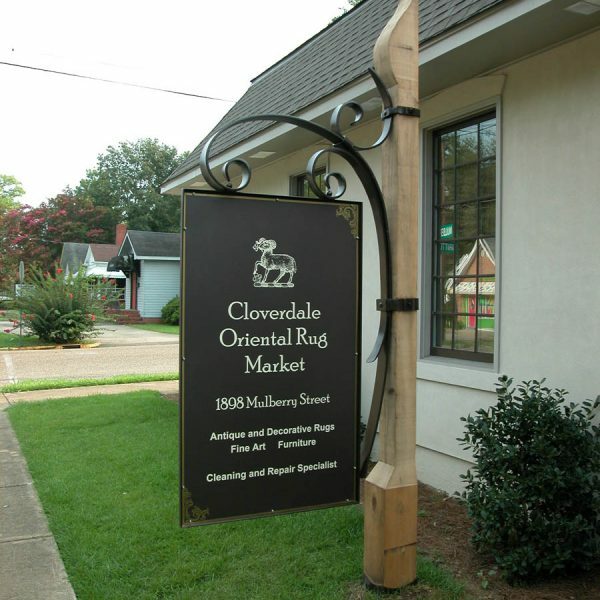 One of my clients loved the big sign and asked if I could design a mailbox in the same style. I sent her and her husband drawings and a price. The next morning I was greeted with a voicemail letting me know that if his wife and I thought he was paying that much for a mailbox, he was scheduling both of us for brain scans. The mailbox idea was off to a rough start, but somehow things were smoothed over and mailbox number one was standing. From there I built a few variations of the mailboxes and it became a fun exercise. But nothing serious. Until the internet showed up and people started calling from all over the place. Most were kicking tires, but, much to my astonishment, some people were ordering them. I am fortunate that something I enjoy has gained some traction. Every time one of these mailboxes leaves for a new home I am grateful and humbled. 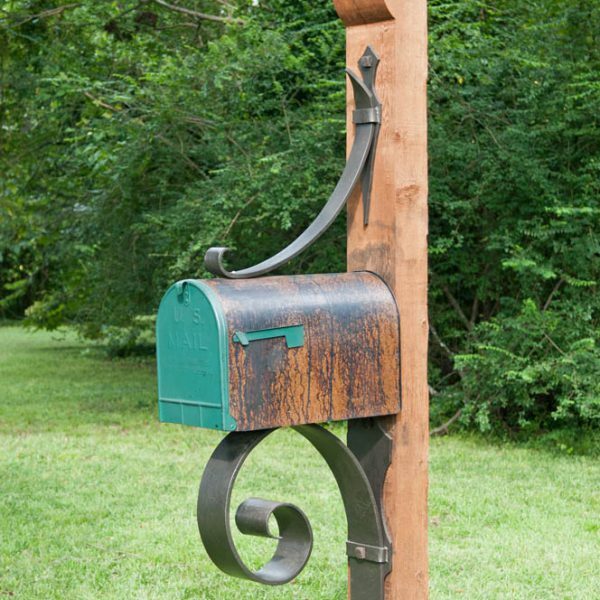 These mailboxes are handmade, one at a time. There may be minor changes in the design and execution as things evolve. The posts are cedar beams and will “check”, and split. This is natural to the wood and we take this into account when we design and build them to minimize its effect on the structure of the mailbox. All of the mailboxes except for the Hanging Link (at this time) are typical Regular and Large Rural mailboxes. 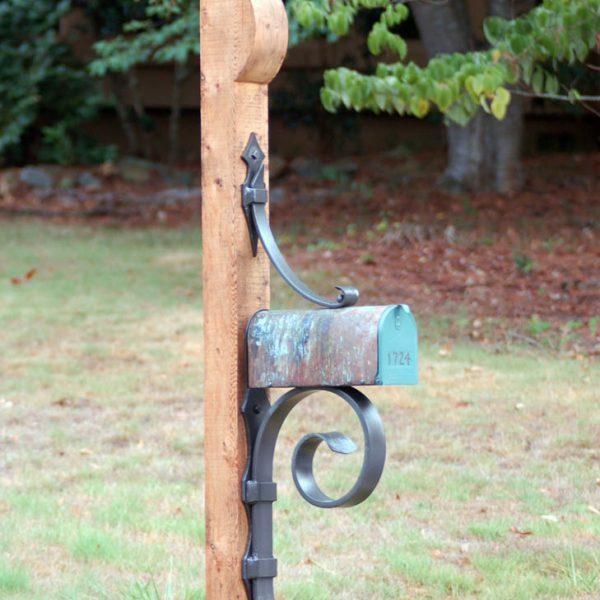 The Highlands, Cashiers, Kingwood and Kingwood Large mailboxes are wrapped in copper. This makes it easier to replace in the event of damage and normal wear and tear. The mailboxes come with a heavy iron boot. Aside from being a decorative element, the boot raises the wood out of the ground, helping to keep it dry and preserving its integrity. The owner should keep this boot above the landscaping and protect the wood beam from moisture from snow, sprinklers, etc. The iron parts are sent out to be powder coat painted. The paint is electrostatically applied and baked on, which give a nicer and longer lasting finish that the typical sprayed finish. 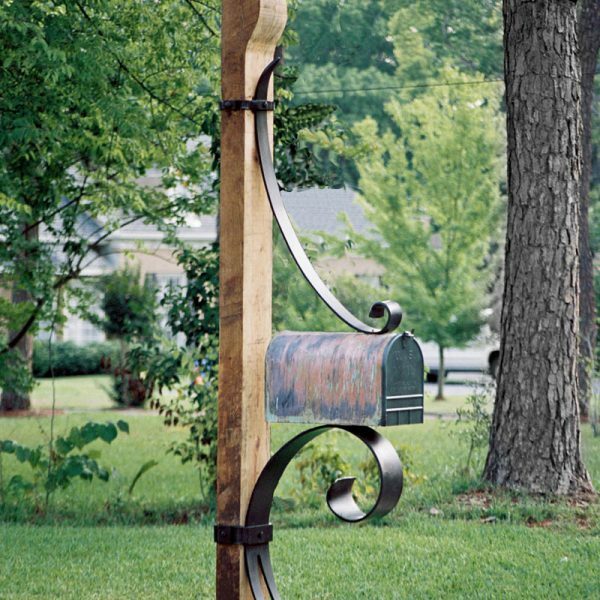 These mailboxes come complete with the sculpted wood post, the iron boot, the ironwork and the mailbox. 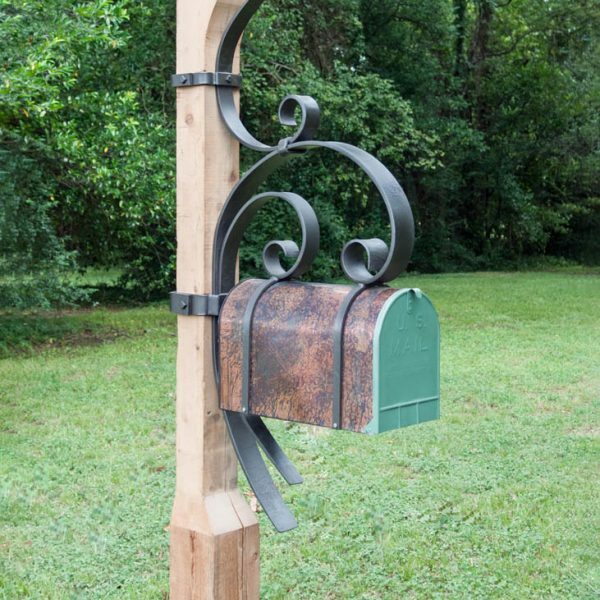 The iron parts and mailbox are also available separately for clients who would like to add their own wood post. 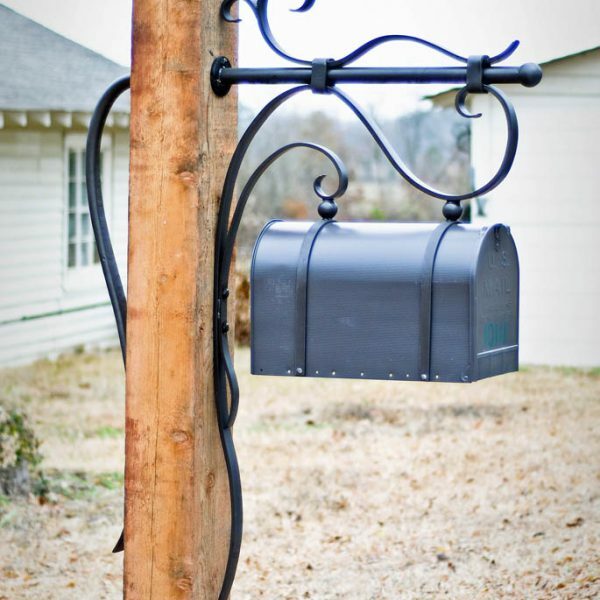 Mailboxes are available for local pick up or will be shipped by freight. 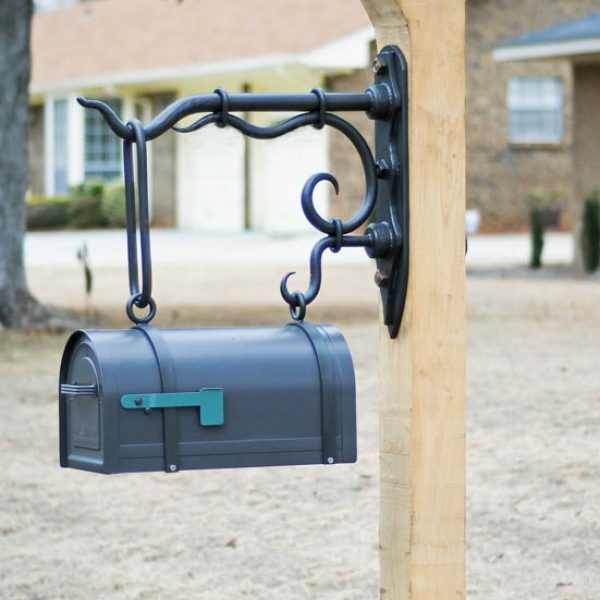 Most mailboxes that are shipped are secured to a pallet and the post is shipped separately. Freight can be a significant cost. We will be glad to give you a shipping estimate. These mailbox posts are large and heavy. 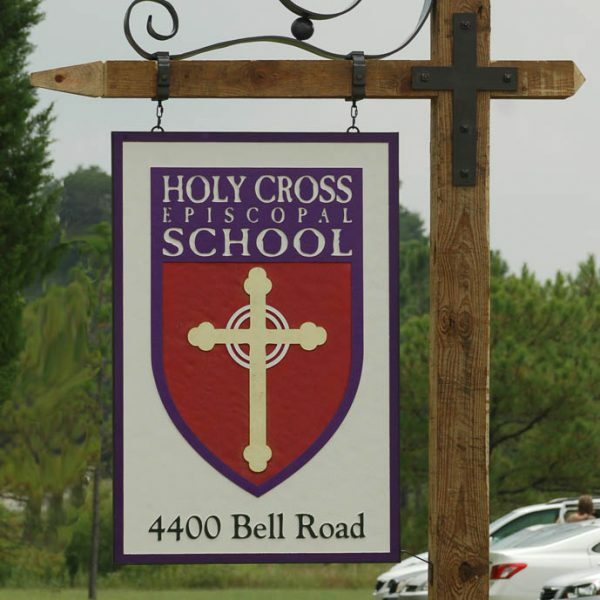 It is the owner’s responsibility to install them in accordance to local laws and regulations regarding proximity to the roadway. Maintaining a respectable distance from the edge of the roadway will be safer for travelers and your mailbox.